Centre pivot and linear irrigation is a method of crop irrigation whereby t he equipment rotates around a point or up and down a field, to water crops with overhead sprinklers. Our T-L Irrigation range of centre pivots and linear irrigators are hydraulically operated. Hydraulic operation provides a huge range of benefits over traditional electric powered irrigators including elimination of spoking and lower maintenance costs. Read more. Water Dynamics is proudly Australia’s number one distributor of the only hydraulically driven centre pivot and linear irrigators in the market, T-L Irrigation. 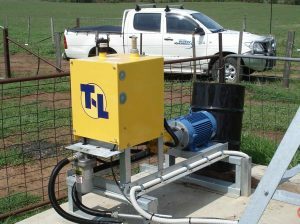 Having sold, serviced and installed over 1,000 T-L irrigators across Australia, we recognise T-L centre pivot irrigators as being the easiest, most efficient and simple technology to ensure thorough irrigation of the land. We provide a complete range T-L center pivots and linear irrigator services including design, selection, installation and servicing. Many of our irrigation experts work solely with T-L centre pivots and linear irrigators, meaning our T-L services are high quality, comprehensive and unmatched in Australia. Consistent with our ongoing commitment to our customers, Water Dynamics is now even better placed to support our local stores in supplying spare parts to our T-L customers, from our national T-L warehouse. Water Dynamics’ national T-L warehouse was developed to improve the way T-L inventory is managed to ensure greater availability of the stock customers need at their local store. Our national T-L warehouse is fully stocked and equipped to ensure speedy replenishment of local store stock as required. We are the largest stockists of T-L spare parts in the southern hemisphere with over $1 million of spare parts inventory on hand. We also place weekly orders with T-L to ensure we can maintain stock levels and keep our customers irrigating. 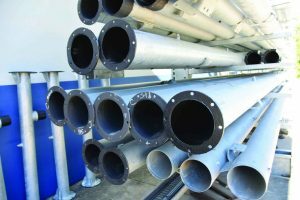 With 30 years in the business, you can rely on Water Dynamics to support your investment. Need a pivot in a hurry? 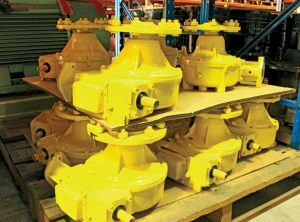 Water Dynamics now offers an option to supply your pivot from within Australia. Read more. Regular servicing of your T-L centre pivot or linear irrigator is essential in ensuring that your machine runs efficiently and reduces the risk of a breakdown – saving you time, money and stress! Where unplanned breakdowns occur, Water Dynamics has the skills, and locally held spare parts to get your T-L centre pivot or linear irrigator up and running in no time. As well as being T-L specialists, we also service and repair all brands and types of centre pivot and linear irrigators. 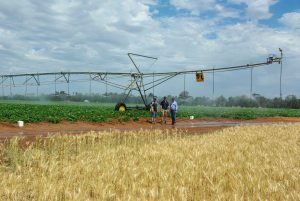 Looking for more information on a centre pivot or linear irrigation system for your farm? Contact us to discuss your requirements today on 1800 571 812.